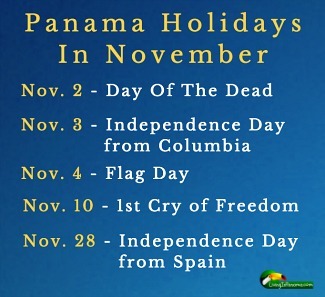 November in Panama is chock full of holidays. 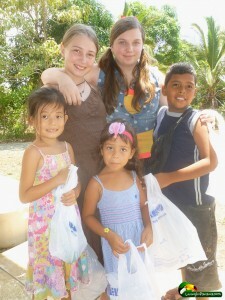 3 of the 5, celebrate the most significant days in Panama´s history. See the image for the dates. I describe each of the 5 holidays below. There are parades and festivities galore. Plan for rain though. November is also the last and often the rainiest month of Panama’s rainy season. Also, with the November holidays, followed by Christmas and then New Years, government offices are often closed from November to early January. Consequently, it is not the best time of year to quickly get any necessary paperwork acted upon by a government office. You may want to wait until mid-January. Decorating graves of loved ones is the main activity of Day of the Dead in Panama. In Panama, the Day of the Dead, or el Dia de los Muertos, is not the huge festive holiday it is in Mexico and some other Latin American countries. In Mexico, the day of the dead is on November 1 and often extends into the rest of the week. 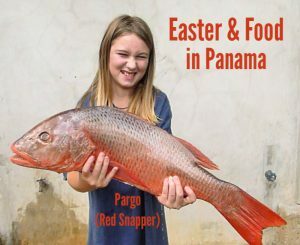 In Panama, it happens one day later, on November 2nd, and is only celebrated for one day. It is also officially a dry day. You cannot buy any alcohol in stores or restaurants until after midnight. 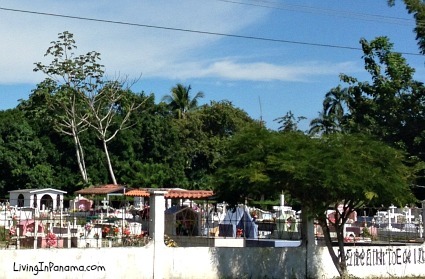 On the Day of The Dead, Panamanians visit cemeteries to tidy up and decorate the graves of their loved ones. 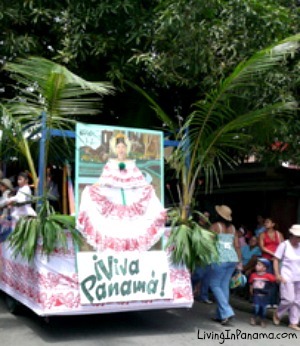 Watch out for parades on both Independence & Flag Days in Panama. This day is also called Separation Day. The day that Panama separated from Colombia. As you will read, this successful “separation” happened because the US wanted to build the Panama Canal. In 1903, the US had signed a treaty with Columbia which gave the US the right to build a Canal. The agreement was called the Hay-Herrán Treaty. Specifically, the treaty granted the US use of the Panama Isthmus to build the canal. In exchange, Colombia would receive financial compensation. The U.S. Senate ratified the treaty. But the Colombian Senate, fearing a loss of sovereignty, refused. Understandably, the US was very frustrated over Colombia backing out of the treaty. In response, President Theodore Roosevelt gave tacit approval to a rebellion by Panamanian nationalists. These nationalists had recently lost an attempt for Panama independence from Columbia (see the history of their rebellion below). Given Pres. Roosevelt’s “approval”, the Panama Canal Company, a French-U.S. corporation formed to build the canal, backed these Panama nationalists. The Panama Nationalist rebellion started on November 3, 1903. Unfortunately for Colombia, it had already granted the US management of the railroad on the Panama Isthmus. Consequently, to help the rebels the US took all the trains off the tracks in Colón. This stranded the Colombian troops that were on their way to crush the insurrection. The US also sent its warship, the Nashville, to the area which further dissuaded Colombia’s army from fighting the rebellion. It turned out to be a successful and peaceful 3-day rebellion. Not surprisingly, the brand-new Panama government almost immediately signed a treaty with the US for them to build the canal. The treaty was negotiated by U.S. Secretary of State John Hay and the owners of the Panama Canal Company. To be fair, the US didn’t create these Panama nationalists. They simply supported them in order to resurrect their Canal deal. From 1821 – 1903, Panama was part of what was called Gran Colombia. The country of Gran Columbia included modern-day Panama, Colombia, Venezuela, and Ecuador. In 1821, Panama voluntarily joined Gran Columbia. At the time, it had declared its independence from Spain. They were afraid of Spanish retaliation, so they merged with their stronger neighbor Gran Columbia for protection. As I mention in my write up of Panama’s Independence Day from Spain below, the merger was a mistake. 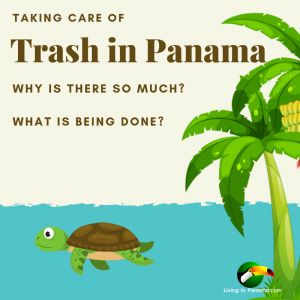 For 80 years Panama experienced neglect and isolation by the Gran Colombian government. In the mid-1800s, Panama tried and failed 3 times to separate from Colombia. Then 50 years later, from 1899-1902, a Colombian civil war broke out between conservatives and liberals who wanted to separate from Panama. That war ended only a year before Columbia refused to sign the Canal treaty with the US. In many ways, the Panama Canal Company didn’t need to instigate the rebels. They simply needed to offer aid to the already discontented and defeated liberal leaders of the civil war. And that is what they did. Nov 18 – Panama signs a treaty with the US – granting it exclusive & permanent possession of the Panama Canal Zone. In exchange, Panama received an initial $10 million, which is the rough equivalent of 285 million in today’s dollars. 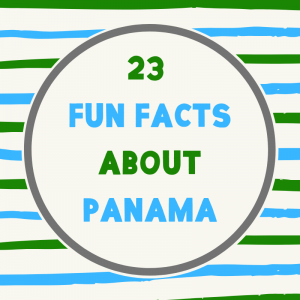 Then starting 9 years later, Panama received $250,000 annually. 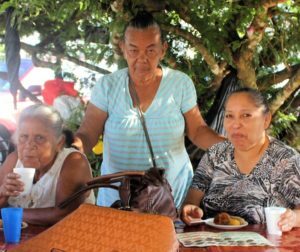 Many Panamanians were not happy with their new leaders signing this deal. 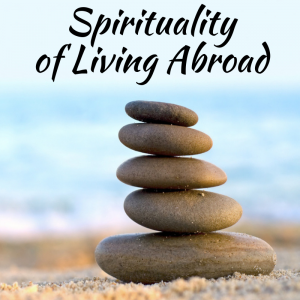 They thought of it as an infringement on their country’s new national sovereignty. So started Panamanians efforts to rescind the treaty. For decades there were protest and negotiations, with Panamanians demanding control of the Canal. Finally, as most of you know, Panama gained control over the Panama Canal in December 1999. What finally happened to cause the US to lose control of the Panama Canal? It was the pivotal protest on what is now called Martyr’s day. 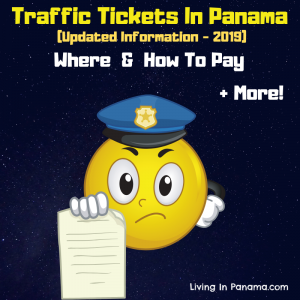 Read my post about Panama’s Martyrs Day riot by clicking here. For months leading up to these parades, you will hear the school children practicing the snare drum and xylophones. Most schools can only afford those 2 instruments. At the parade, you will see school after school march by playing those instruments, more or less well. In Puerto Armuelles, we have one school, ESPA, that thankfully has a full band that marches too. They are an excellent band and make good relief to all those xylophones and drums. In yet another show of sexism in Panama, you will notice that only boys are playing the drums and only girls are playing the xylophones. I have never seen it otherwise. You will also see police and fire officers marching in full dress uniform. Like Day of the Dead and most Panama Holidays, you can not buy alcohol from stores and restaurants on Independence Day. 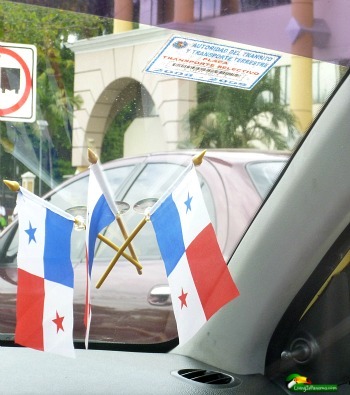 You will see the Panamanian flag waving and hanging everywhere on Flag day. Flags are displayed on banks, businesses, overpasses, car antenna, anything that can be decorated with a flag. Originally striped in red and yellow, the Panama flag soon looked like it does today. 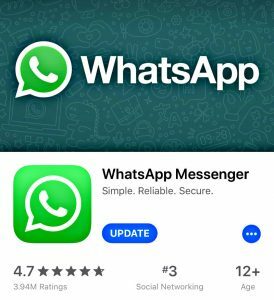 Other people say the stars on the flag represent the country’s opposing political parties – blue for the conservative party and red for the liberal party – and the white background represents a goal of working together in peace. From the early 16th century and into the 19th century, Panama was an important colony for the Spanish Empire. Panama City’s port was particularly useful. The port was ideal for shipping all of the treasures and resources that the Spanish plundered from throughout Latin America. The Spanish governors were not kind or just to the locals. One day the citizens of the small town of La Villa de Los Santos had had enough. The letter complained about the Spanish governor and asked Bolivar for revolutionary assistance. Though not officially the date of independence from Spain, this day pushed the process full-steam ahead. This day is primarily celebrated in the town of La Villa de Los Santos. They have a parade, of course, which starts on Simón Bolívar Street. On November 28, 1821, 18 days after Primer Grito de Independencia, the uprising of Villa de Los Santos, an open town meeting occurred in Panama City. At this historic town meeting, it was decided that Panama would declare independence from the Spanish empire. Then they got nervous. Afraid that the Spanish Armada would attack. 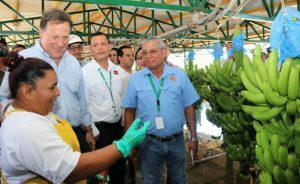 Panama decided to join its stronger neighbor, Gran Colombia. This turned out to be a costly decision. What followed were years of neglect and isolation by the Colombian government. 80 years later, on Nov 6. 1903 Panama also gained independence from Colombia. A day that is celebrated on Nov. 3rd, the day the 3-day rebellion began. 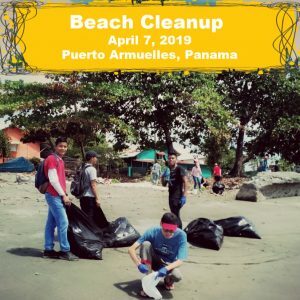 Panama is blessed with gaining its independence from Spain, Colombia, and the US all with a relative lack of violence. 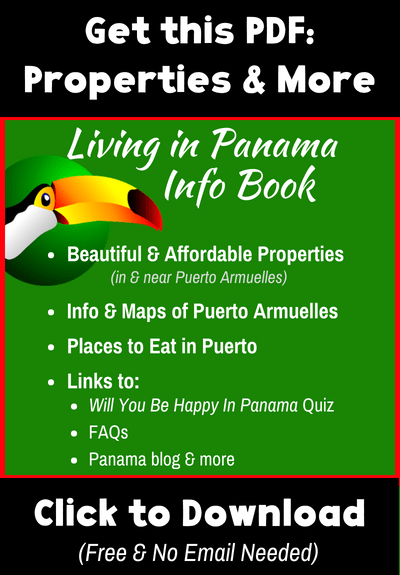 Learn about life in Panama, subscribe to our newsletter.